Colle+McVoy’s catalog design for the motorcycle company also doubles as a collectible poster series. 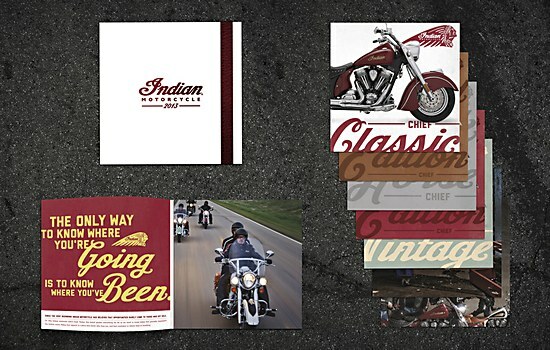 For the 2013 Indian Motorcycle Catalog, Colle+McVoy wanted to create something that would highlight the bikes, but also have more lasting value. 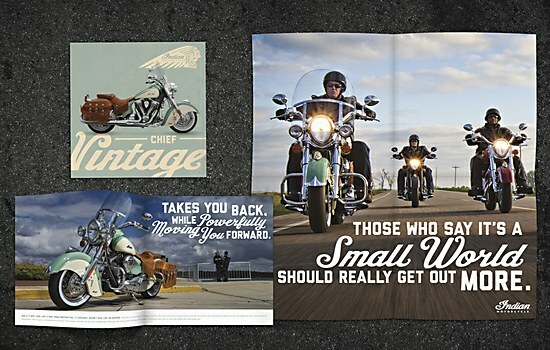 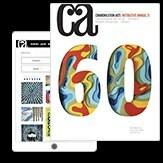 Instead of making a simple page-by-page catalog, the Minneapolis-based agency manifested a unique piece with multiple, independent sections that each fold out into a collectible poster. 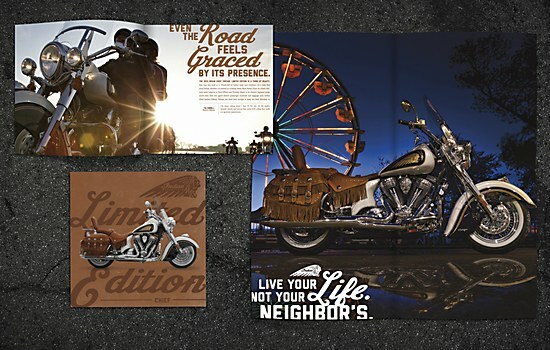 A perfect way to entice riders, thousands of whom bring the catalog/posters home from dealers and motorcycle shows across the country. 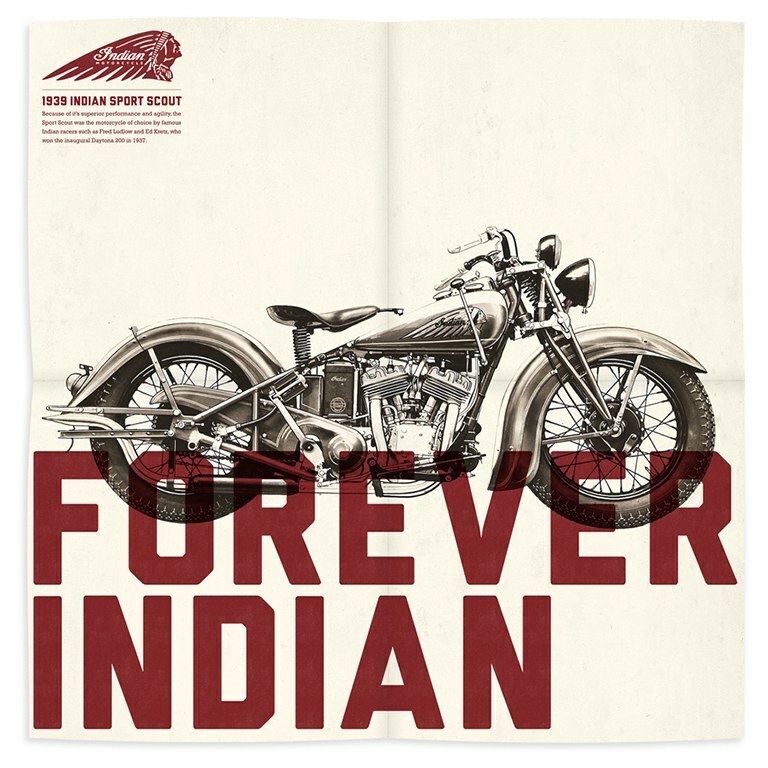 The design brings the vintage appeal of the 113-year The Indian Motorcycle brand into a modern scale, building excitement and confidence in the brand's future under its new ownership by power sports company Polaris. 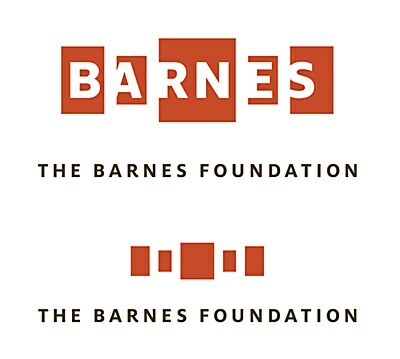 The identity design by Pentagram captures the foundation’s distinctive sensibility. 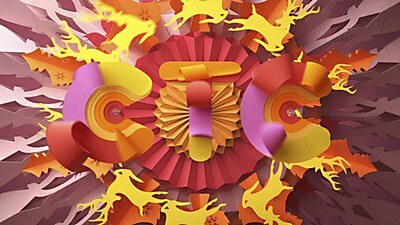 Alex Mikhaylov and Max Chelyadnikov created a set of toyish shorts for the Russian TV station. 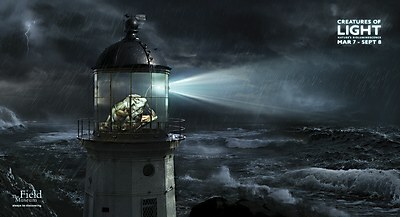 DDB Chicago’s outdoor campaign features bioluminescent creatures in place of everyday objects.